Once again WeFunk rocks the house. Donating! 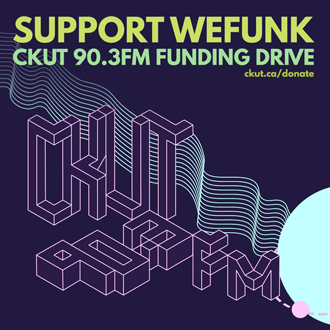 Funding drive week 2: WEFUNK brings together some of our favorite Montreal artists for a show full of fundraising, live flavor and funk & hip hop favorites. DJs & GUESTS Professor Groove, DJ Static, Lotus, Fredy V, Malika, Think Twice / RECORDED November 21, 2008 / HOSTING PJ, Mike, Oliver & daduke. You can help too! d.j. revolution feat. k.r.s.-one - the d.j.